Volunteer opportunities for Keep Middletown Beautiful consist of planting in Bright Spot areas located around Middletown, painting sign posts, and cleaning up trash and litter at public locations such as public parks and the Great Miami River. Volunteering with Keep Middletown Beautiful will qualify for community service hours and will give you a sense of accomplishment for bettering our community. Note: Volunteers of age 14 and under must be accompanied by an adult in order to participate in volunteer activities. To help out and volunteer for Keep Middletown Beautiful, please fill out the form below and submit your responses. You will be emailed a copy of your responses so that you can be sure we have received them. A representative from Keep Middletown Beautiful will get back with you and discuss potential opportunities the organization has coming up. What do you want to volunteer to do? 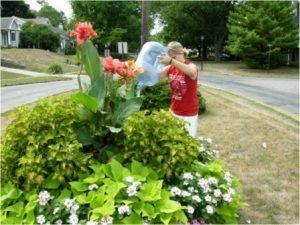 Why would you like to volunteer for Keep Middletown Beautiful?